Want to get your buck like, really, really high? Well then book him in for the Helicopter Ride of a lifetime. 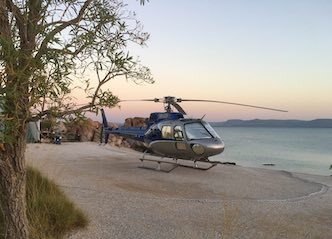 Soar well above all of your mates gifts and see the beautiful Darwin from a whole new perspective that will make for some epic highs and world class photos. This is an experience your buck will never ever forget and the perfect final addition to his bachelorhood memories before the big day! Buckle up, sit back and prepare to take in some breathtaking scenery! This is sure to be anything but tame as you fly over some Croc breeding grounds, crystal clear waters teeming with wildlife such as turtles and even Australia’s biggest baddie the Great White Shark. The untouched sandy white beaches meeting the shoreline will be filled with beautiful girls basking in the hot sun and you’ll have a bird eyes view of it! 1000ft up and above Australia’s northern capital provides the sharpest vantage point of this tropical city and all its inhabitants. Fly through and beyond the red rock cliffs while watching your buck rub his eyes in disbelief that you managed to pull something like this off! Have you ever been in a helicopter? It is INSANELY stimulating and an absolute tick off the bucket list. 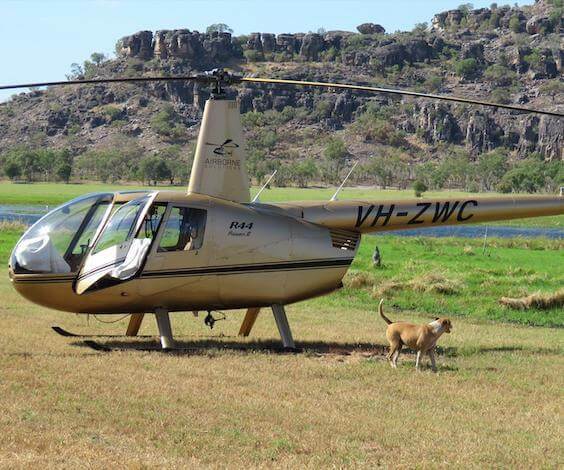 What better way to see some of Darwin’s scariest wildlife than from the safety of above! Not only will you be pumping with adrenaline and rearing to party after this, you will have an unforgettable moment of bonding with your buck before the night gets messy. Enjoy spectacular panoramic views you’ll find yourself remembering for years to come. Get higher than you’ve ever been, completely naturally! Once you’ve seen it from above you’ll be eager to return to the ground and explore the rest of the town on foot! All that naturally beautiful scenery is yours for the taking; hike through the cliffs, slide down a waterfall and galavant across the stretches of beach. You’ll be falling for Darwin’s natural charms in no time at all. Come and explore one of Australia’s hidden gems, tucked away in the north of the country and far far away from the responsibilities and distractions of your normal busy schedules. The perfect break for your buck from the stresses of planning (well planning might be a stretch, let’s say attending) a wedding. This will undoubtedly provide a magnitude of stories for the wedding party, future generations and those you’ve left at home! Look out for the wild beasts that call this place home, the Great White Sharks, Prehistoric Crocodiles and maybe even some friendly turtles! The babes are more down to earth up north and the beers are certainly colder to fit perfectly with the warm weather that Darwin promises. No risk of boredom when there is this much to choose from! Darwin Boat Party Cruise: Prefer something a little more alcohol heavy? Grab your sailors hat and climb aboard the PARTY SHIP as we set sail across Darwin’s majestic harbour, with the most beautiful boat crew you’ve ever laid eyes on. Darwin Golf Day: Prepare to putt up and flex on the boys as you prove yourself a true gentleman (golfer). A relaxing day playing around with your balls (because what guy doesn’t love that), beautiful caddy girls supplying your beers and the best course in Darwin! Darwin Go Karting: Prefer to steer your own gear stick? Rally the boys and jump in your own go karts at Darwin’s hottest track. We are talking hot tracks, stunning girls and the opportunity to get fast and furious with your best mates!